Aizawl, Apr 24 : After garnering support from all transport organisations in Mizoram, central Young Mizo Association today decided to take steps to solve the prevailing problems of insurance claimants caused by the companies' refusal to open regional offices in Aizawl. In a follow-up to its earlier resolution, the central committee of the state's most influential organisation, convened a joint meeting of all transport organisations in the state in its office today. Expressing solid support to the central YMA's resolution, Zoram Drivers' Union, Mizoram Road Transport Union, Zoram Taxi Drivers' Association, Zoram Taxi Owners' Association, Mizoram Maxi Cab Owners' Association and Mizoram Truck Owners' Association entrusted the central YMA to deal with the insurance companies. 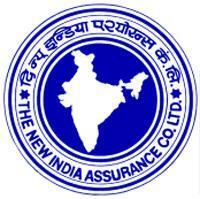 A source from the central YMA accused some nationalized insurance companies, such as New India Assurance Company Limited, Oriental Insurance Company Ltd, United India Insurance Company Ltd and National Insurance Company Ltd, operating in Mizoram of causing a big problem to their local clients by not having regional offices in Aizawl. "Accident insurance claimants had to call in surveyors from Silchar, causing a lot of time and money. The central YMA had made repeatedly requested the companies to open regional offices in Aizawl, but the requests fell on deaf ears," it said. In today's time we can not even rely on the well reputed companies like "Oriental Insurance" etc. Me and all my family members have there mediclaim policies since 10 year and above, but till date I am not at all satisfied with any of there services because of their Incompetent agents and service providers. I had already faced a big problem in the past with this company when we waited extremely long for the repayment of hospital bills & the refund of the left over policy amount of my dad's policy after he passed away in 2006,we ran every where but no one paid any attention to our problem, then we requested consumer court to file our case against the company etc. it took lot of time more then 1.5 years for solving the problem with the help of top company officers, who were very understanding and really helpful to us, I am still thankful to all who understood us and helped us. Today I felt forced to write this mail coz of Mr. A.K CHOUDHARY's continues Irresponsible behavior and also filed a case in consumer court http://www.consumercourt.in/medical-insurance/1093-mediclaim-policy-oriental-insurance.html , from last many year (almost 3-4 years) every time he came for the renewal of the policy, always took our photos for the cashless cards etc but always misplace it and never send the cashless card ever on time, sometimes cards comes after 5-6 months but along with the time the delay time was not reduced rather was becoming worse, all the times we submitted the photos twice or even thrice but this time from last almost 8-9 months we haven’t received our cashless card as yet, even they delay in sending the complete policy papers many times. We as an old and loyal customers never said anything from so long time but now this is the height of irresponsibility on company's part. Now i am no more interested to continue my policy, rather this time I’ll close it down with this company once and for all.